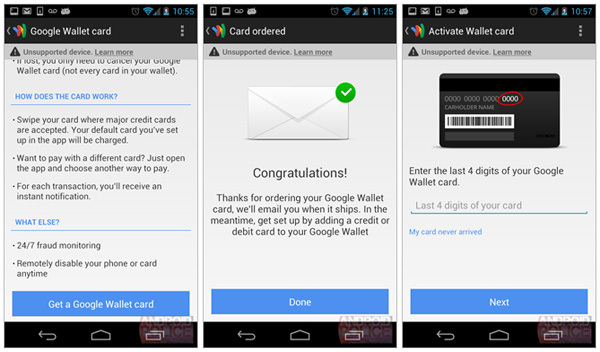 Is a physical Google credit card on the way? Who needs NFC to use Google Wallet when you can wield a physical Google Wallet card instead? 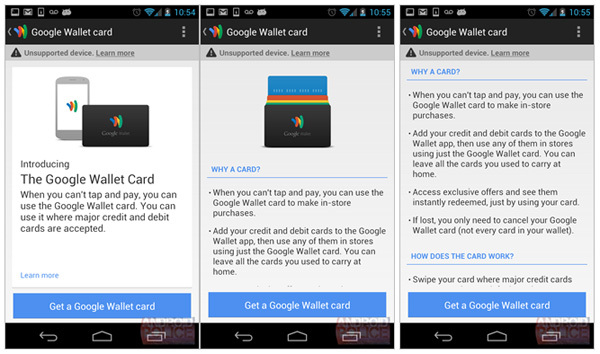 According to Android Police, who received the information from an ‘anonymous tipster’, Google is working on a physical Google Wallet card to make the system usable at retailers that don’t operate wave and pay technology necessary for NFC payments. The card will function exactly like a regular credit card with one crucial exception: it will charge to whatever is currently the default card on your Google Wallet account. Android Police published leaked screenshots of the ordering procedure for the card, which allows interested parties to have the card sent to them in the post. The images indicate the card will be usable where all major credit and debit cards are accepted. It looks like the ability to deposit and withdraw money from a ‘Wallet Balance’ is currently being added, along with person-to-person money transfers and transit card functionalities. While the idea of a physical card sounds like a sound move towards boosting adoption rates of the mobile wallet service, Google is yet to confirm whether the reports are accurate.